Back by popular demand, we are teaming up with the Whitney Museum Shop to launch round two of our hand embroidered Stateside sweatshirts. 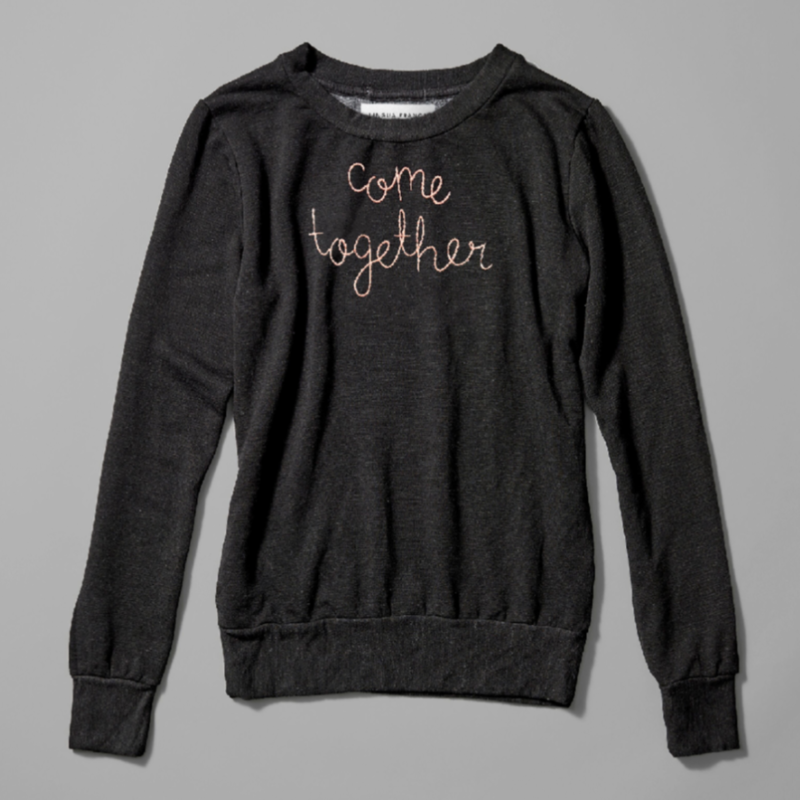 This limited edition series of black sweatshirts are hand stitched with "make love not war" and "come together." Perfect for V-day - if that's your thing - or really any day you feel like spreading some love. Inspired by the Whitney's current exhibition An Incomplete History of Protest (go see it now! ), we drew from a poster hanging in the exhibit of a couple with one of the greatest love stories of all time. John and Yoko are an iconic creative duo who weren't shy about expressing their political opinions. But do you know the story of how they met? My husband told me the story years ago and it has served as inspiration for my life ever since. Do you know the story? It's really cute but also inspiring, especially in times of "anti" everything. I have this photo hanging up in our offices, reminding us that not everything has to be a battle of resistance all of the time. We have to leave room for 'yes' moments. We have to be open to loving, even when we are at odds with one another. Now Come Party With Us This Tuesday! You’re invited! Join us as we celebrate the second release of our exclusive collaboration. *Space is limited and rsvp's will be taken on a first come basis.